I am a huge fan of the apparel site Look Human. 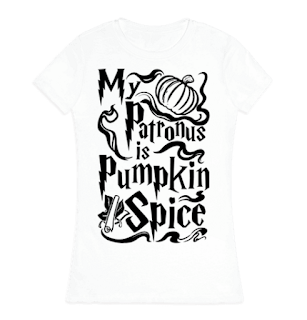 I even featured one of their tanks on my 5 Fandom Friday post: Geeky Clothing Items I NEED In My Closet Immediately and Valentine's Day Geeky Tees! 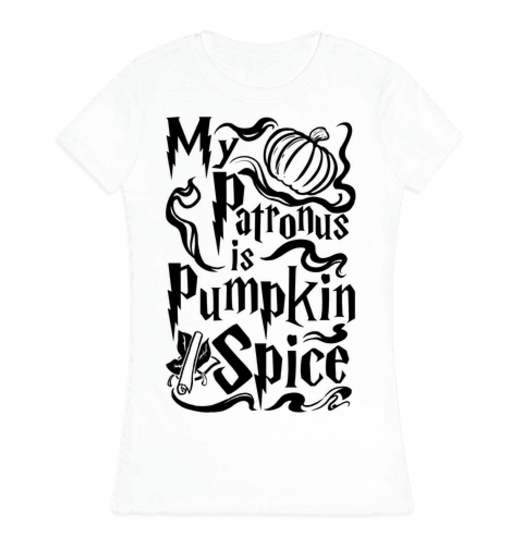 One day while I was searching their site for nerdy goodness I found some hilarious pumpkin inspired tees! I just had to share my favorites with you! 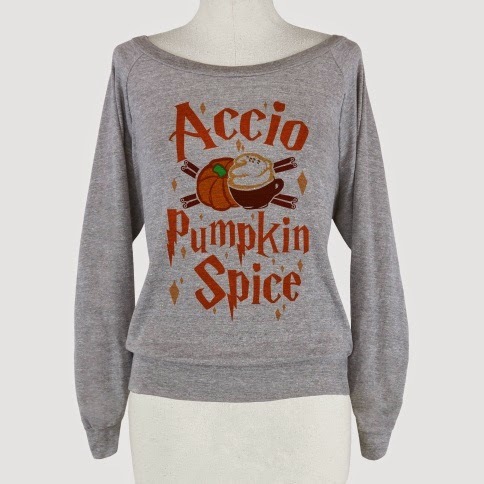 Accio Pumpkin Spice: Potterheads can now be pumpkinheads too with this deliciously cozy sweater! Anyone else marathon Stranger Things in weekend?! Well this sweater is just too perfect for us mega fans waiting for more! 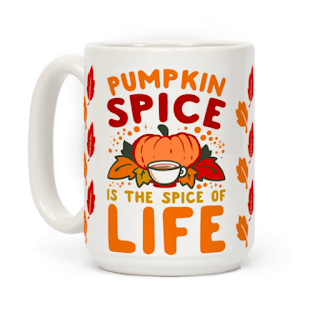 Click HERE to get yours! 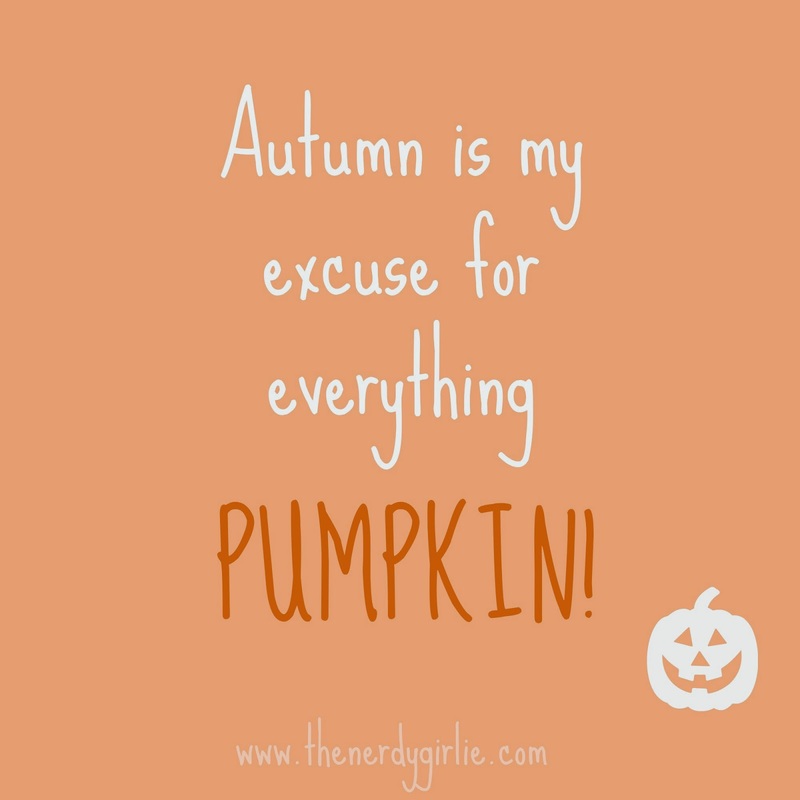 If you couldn't already tell...this is my Autumn motto! Get yours HERE! Pumpkin Spice Princess?! I think that name could work well for me! If you are one too get yours HERE! Two of my favorite things! 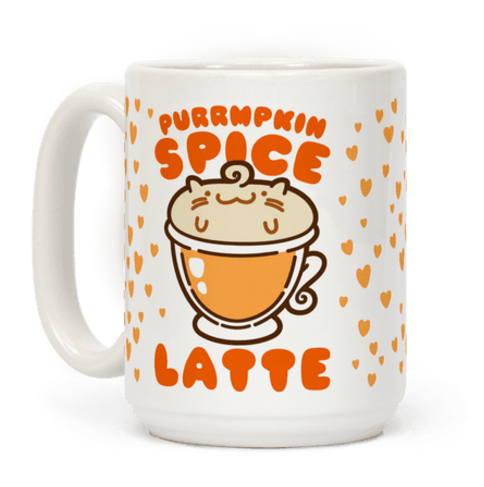 Cats and pumpkin spice. They go PURR-fect together!!! 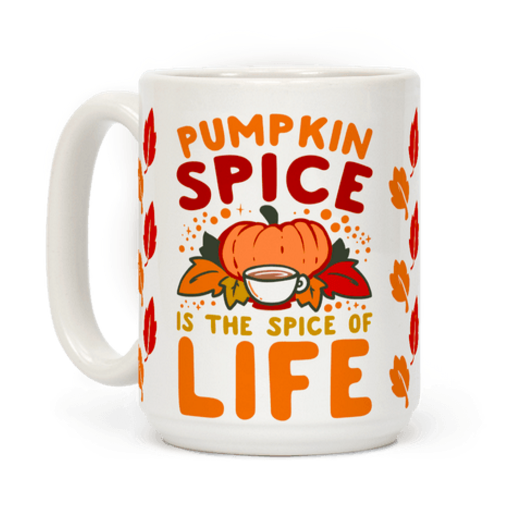 And the truth on a mug...pumpkin is the spice of life! 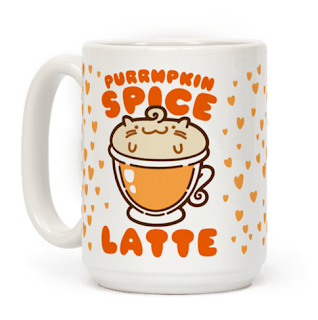 I need to add these to my mug collection! Which ones do you like best?! 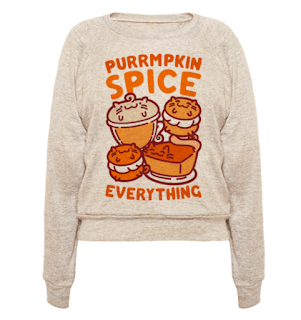 Would you wear your pumpkin spice love on your sleeve or are you a closet pumpkin fan?! You know my answer! Let me know your favorites in the comments below! 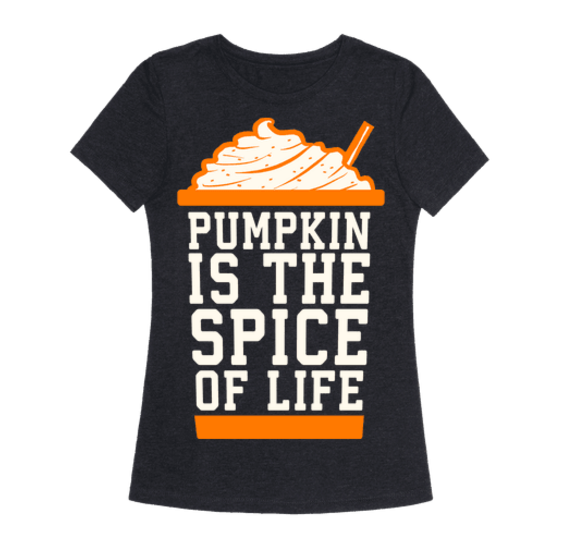 Pumpkin Spice up your life!! AHHHH wants so bad! Loved this list <3 Everything is so tempting I can't even handle it. 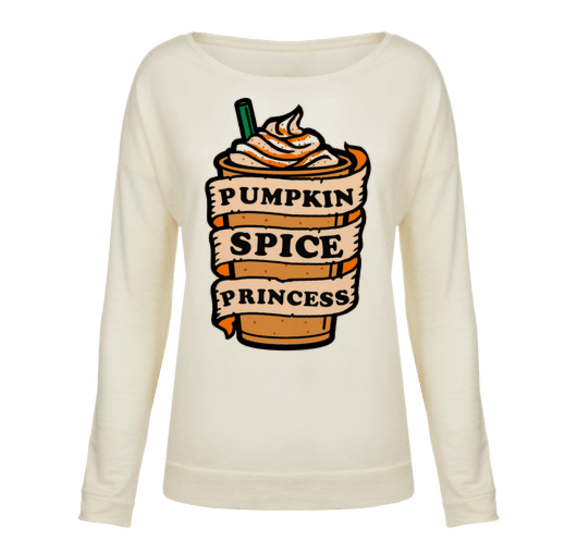 I might have to get the first pumpkin spice girls one!